As a modern European language, English is generally not grammatically complicated, however it does have certain elements which are tricky and do not necessarily exist in other languages and one of these is phrasal verbs. Phrasal verbs are verbs which are made up of a main verb followed by one or more prepositions, and these in turn change the meaning of the original main verb. There are many phrasal verbs and many have more than one meaning (some have up to 4), so it’s vital to remember that it is not just a case of memorising one meaning and applying to all eventualities. Bearing all of that in mind, don’t stress yourself out about not knowing every single phrasal verb in the world as it takes a long time to learn them. 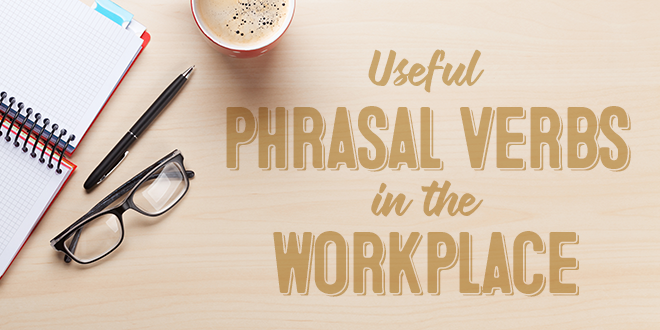 In today’s video class Robin is going to focus her attention on vital phrasal verbs used in an English working environment; they type you might find in an office or at the bank. She’ll also give you lots of great examples so you can practice them in context. If your boss wishes to cancel or delay a meeting there can are a couple of phrasal verbs which are commonly used to express this in English. Some of your colleagues couldn’t attend the meeting so it has been called off. It has now been rescheduled and pushed back to next month. You want to talk about a particular matter so you bring it up during the meeting. During a work discussion, you come up with a great idea. Your boss wants you to take on some extra work. You switch on your computer when you arrive at the office. You jot down what you need to do during the day. You always back up your files. It’s annoying when the printer runs out of ink. You get along well with your colleagues. You carry out the tasks you are required to do. If you’d like to listen to more phrasal verbs with “to get”, our resident teachers George and Del host a weekly show where they have fun chatting about all things grammar and vocabulary. When you are going crazy at the office and having a very busy day, there are several everyday phrasal verbs which can be attributed to describe the chaos of a busy office environment. Why don’t we have a look at a few of these? You usually stay behind to finish work. You get snowed under with paperwork at the end of every month. Be careful not to burn yourself out and become ill.
It’s frustrating when you need to speak to someone and their phone is ringing out because they are not able to answer it. Sometimes, you feel like all you are doing is picking up the phone in work. When people can’t get through, they call back later. The company is growing, we need to take on more staff. It’s good news because we won’t need to lay off any staff. 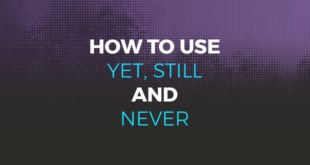 How can you continue to practise? 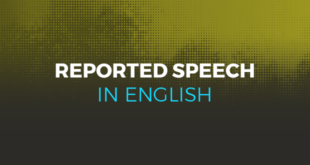 ABA English offer a full comprehensive English course which is free to sign up to. Starting from beginners, the complete course goes right up to business level. Just by signing up to the course for free you will get an incredible unlimited access to 144 video classes which will help you significantly improve your use of grammar and understanding of the English language. Don’t put English off anymore and sign up for free today and start improving your English.